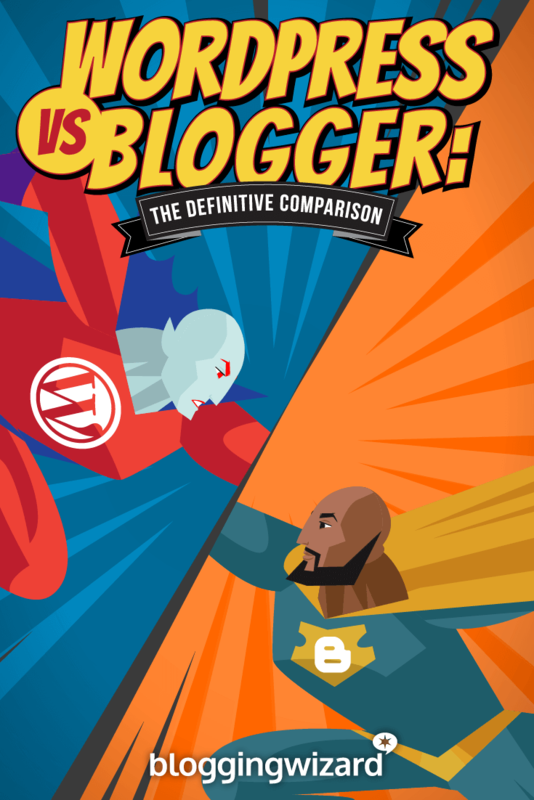 WordPress Vs Blogger: Which Blogging Platform Is Right For You? 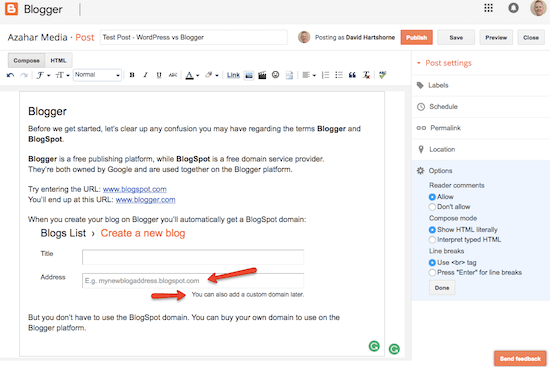 What’s the best blogging platform? It’s a frequent question received here on Blogging Wizard. And with so many blogging platforms available it’s an entirely valid question. But what suits one person, won’t suit another. 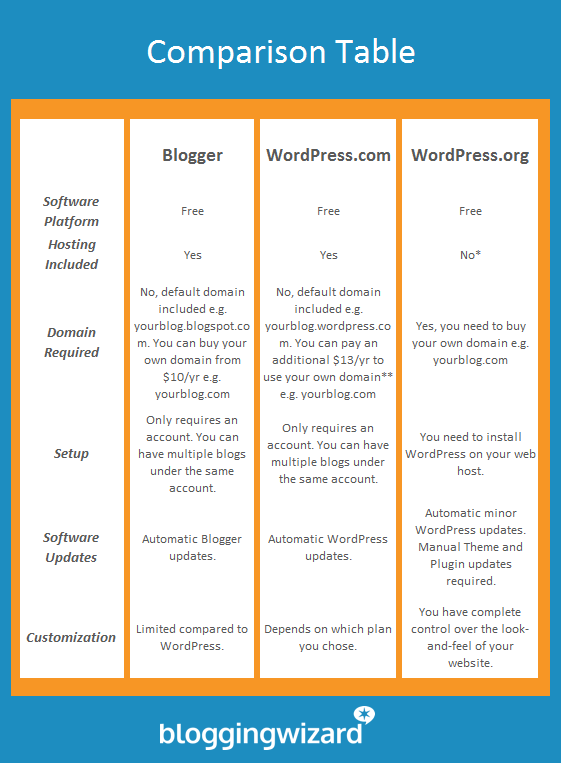 So to help you overcome your selection headache, we’ve compared WordPress and Blogger. 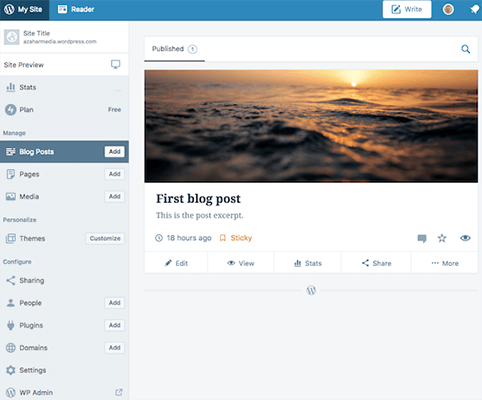 And what’s more, we’ve included both flavors of WordPress, so there are three great blogging platforms for you to mull over. Blogger was founded in 1999 by Pyra Labs and acquired by Google in 2003. By 2006, every account was hosted on Google’s servers, making the platform a lot more reliable. Before we go any further, let’s clear up any confusion regarding the terms Blogger and BlogSpot. Blogger is a free publishing platform, while BlogSpot is a free domain service provider. They’re both owned by Google and are used together on the Blogger platform. 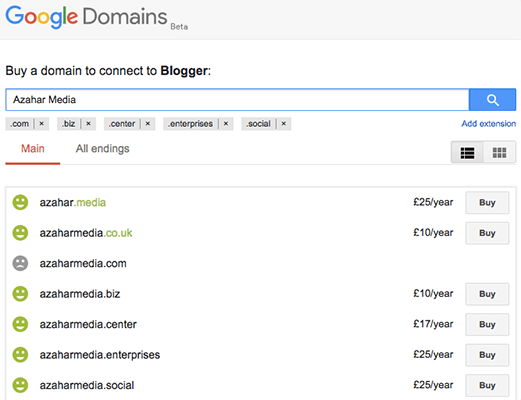 To summarize: Google hosts your blog on their Blogger platform with a default BlogSpot domain. Creating your blog on Blogger is straightforward. You’ll need a Google account if you don’t already have one. Enter a name for your blog. Choose a Blog Address (URL) – Blogger confirms if your chosen blog address is available. 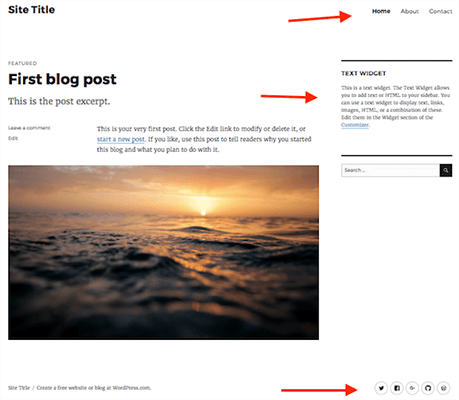 Pick a Theme – There are a handful of themes (templates) displayed as you create your blog, but you can browse more and customize your blog later. I’ve already purchased the domain Azaharmedia.com, so it’s unavailable. Prices are shown in GBP as Google recognizes I’m UK-based. You can also buy your domain from another provider like Namecheap and then point it to your account. 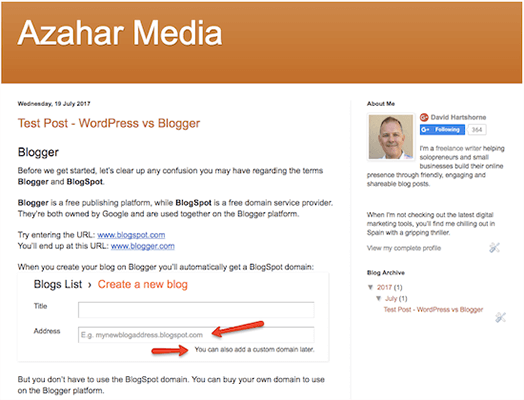 After the optional step of buying a domain, you’ll see your blog dashboard. 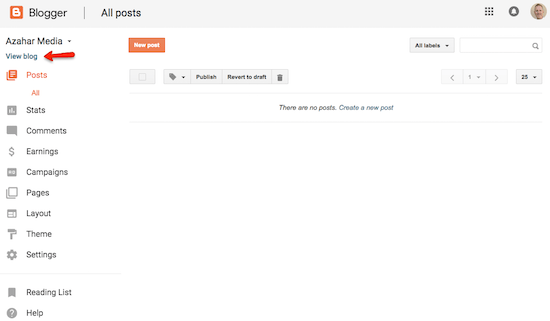 At the moment it’s empty, but this is where you’ll manage your blog. 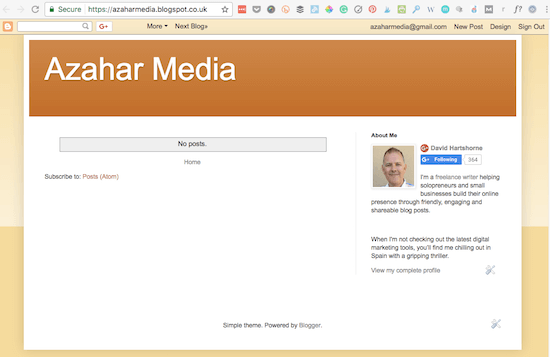 There are no blog posts yet, but in the right-hand sidebar, there’s an ‘About Me’ section that uses your default Google+ profile information. 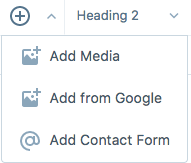 On the right-hand side, you have Post settings for adding labels (Tags), scheduling the publishing date, defining your permalink, plus options for commenting and privacy. You can change the appearance of your blog using different themes and layouts. Blogger offers lots of themes, but you can also upload free and premium themes from third-party vendors. 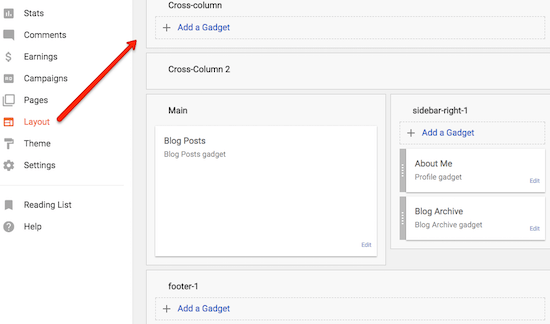 Blogger uses Gadgets (the equivalent of WordPress Widgets) to help design the layout of your page. 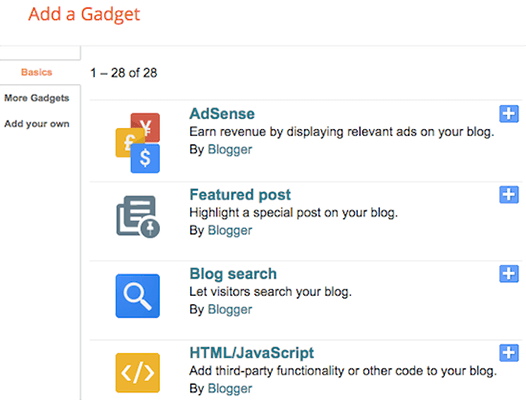 You can use Gadgets to do things like display your blog’s archive, show blog labels in a list on every page, or put your profile on every page. Google can suspend your blog at any time, or even cancel the Blogger service altogether. WordPress.com is home to everyone from brand-new bloggers to Time, CNN, TechCrunch, and more. Includes a WordPress.com subdomain, basic design customization, and 3GB Storage to get you started. Includes a free custom domain name, 6GB Storage, and removes all WordPress.com advertising. Includes advanced design tools, CSS editing, 13GB Storage for audio and video, plus the option to monetize your site with ads. Includes SEO Tools, Google Analytics support, Unlimited Storage, plus the option to install third-party themes and plugins, and remove the WordPress.com branding. After those steps, you’re taken straight to your site that includes a sample first post. It’s an excellent way to see what your new site is going to look like without you having to write a post. At the top is a menu with links to sample About and Contact pages. On the right-hand side is a Text Widget that you can customize with Text or HTML, and a Search Bar. And at the bottom of the screen are some social sharing icons alongside the WordPress.com branding as this is a free plan. From the left-hand menu, you can change colors and backgrounds, fonts, menus, widgets, and more. There are also edit icons on the main screen that take you to the relevant customization option; e.g. the Site Identity for changing your Site Title and Tagline. You don’t own your blog; WordPress.com can suspend and delete your account if they find you are violating their terms of service. You have to pay a high premium to use third-party themes and plugins. WordPress.org started in 2003 as a basic blogging tool, but has evolved into a full Content Management System. WordPress has grown to be the largest self-hosted blogging tool in the world, used on millions of sites and seen by tens of millions of people every day. As it’s part of the Open Source project, you’re free to use the software for anything without paying anyone a license fee. Starting your WordPress.org site takes a little more time and planning than Blogger and WordPress.com because it’s a self-hosted option. The first thing you need to do is find a suitable web host. There are hundreds of companies offering web hosting, so look for one that specializes in WordPress hosting. Read our guide on recommended WordPress hosting to help you find the perfect host for your particular circumstances. After you’ve sourced a web hosting service, you’ll need to purchase a domain. Don’t be tempted to register your domain with your hosting company (even if it’s free). We register our domains with Namecheap because it gives us greater control, added security and redundancy. Read my guide on how to choose the perfect domain for your blog over at WP Superstars. Installing WordPress varies from host to host. Most offer one-click installation routines that do everything for you. If your WordPress web host doesn’t include this or you prefer to do it yourself, then we have some information to help you. Read the famous WordPress 5 minute install. Need more help? 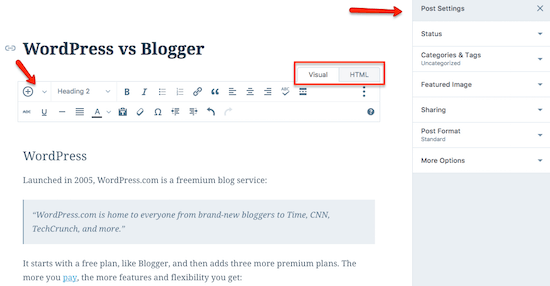 Check out our complete guide to starting a WordPress blog. The dashboard contains many of the same options as WordPress.com, but they’re presented differently. Backups – You need a good backup system in place so that you can restore your site quickly if you hit problems. Cheaper web hosting services can’t always be trusted to take backups and are notoriously slow in restoring your site if there’s a glitch. Managed WordPress hosting services like WPX and Kinsta and have good backup systems. Our advice: We recommend Jetpack for your backups; this feature is available on their personal plan which costs $3.50/month and offers priority support. Or, you could use a free plugin like UpdraftPlus. Security – You need to protect your site against hackers. Because WordPress powers over 25% of the web it’s a prime target for hackers. Again, some web hosting services keep you safe more than others by patching security issues at the server level. Our advice: Consider using a service like Sucuri to protect your site. Their firewall also acts as a content delivery network (CDN) which can speed up your blog. Software Updates – You need to ensure you keep WordPress, plus your Theme and Plugins updated; otherwise, your site is more vulnerable to security breaches. Software Updates include both bug fixes and enhanced functionality, but it’s the bug fix updates (usually denoted as minor updates) that are more important. Starting with version 3.7, WordPress introduced automated background updates for all minor releases, such as 3.7.1 and 3.7.2. Using the WordPress Customizer – as we saw earlier – you can change colors and backgrounds, fonts, menus, widgets, and more. But there are more ways to customize your site by installing themes and plugins. WordPress.org comes with a default theme; e.g. Twenty Seventeen, Twenty Sixteen, etc. It’s fine to start with, but soon you’ll probably want to install a theme of your choice. If you don’t find a free theme that works for you, then you can buy a premium theme. More often than not, the premium themes have more functionality and can be market-specific. ThemeForest – The biggest premium theme marketplace. Easily searchable by tags and prices. Elegant Themes – Currently 87 themes including the all-singing all-dancing Divi Theme. Thrive Themes – Not as many options as the first two, but their themes are conversion-focused. Plugins allow you to extend the functionality of WordPress even further. Again, there are both free and premium plugins available. The possibilities for personalizing your site are endless. Here’s a quick comparison table to recap on the key differences. * Click here for Web Hosting options. ** Support for using your own domain. Domains can be purchased from Namecheap. Now you have the information on the different blogging platforms, you need to consider which one suits you best. 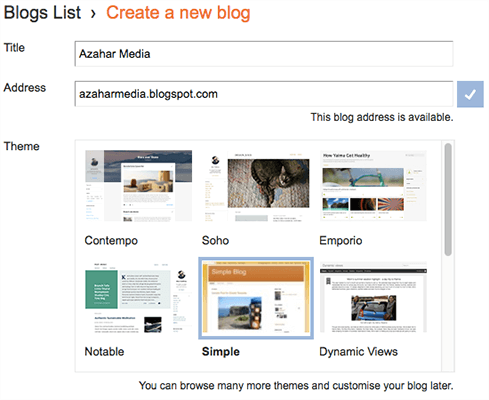 Blogger is great for beginners and casual bloggers. You can start for free and get a good understanding of what blogging is all about. But before you go too far on your blogging journey, then consider switching to WordPress. The WordPress.com free plan is also great for beginners and casual blogging. It’ll help you get the hang of the WordPress platform and blogging in general. However, it’s limited. If you have any aspirations of using your site for business purposes, then you’ll need to move onto the premium plans. Sites with a paid WordPress.com plan had 34% more monthly page views than sites without one. A WordPress.com premium plan gives you more features and options plus robust hosting. But you’re still on rented space. If you want complete autonomy, then choose WordPress.org. Yes, it’s a little harder to get started, but in the long-run, you’ll appreciate the initial learning curve. The endless customization options mean you can create the perfect content management system. Can You Use Instagram To Grow Your Business?